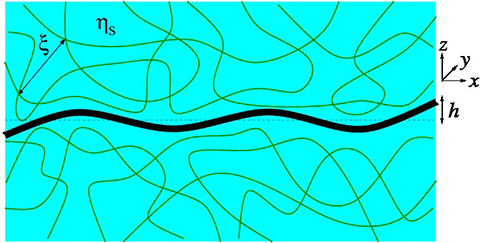 The dynamics of membrane undulations inside a viscous solvent is governed by distinctive, anomalous, power laws. Inside a viscoelastic continuous medium these universal behaviors are modified by the specific bulk viscoelastic spectrum. Yet, in structured fluids the continuum limit is reached only beyond a characteristic correlation length. We study the crossover to this asymptotic bulk dynamics. 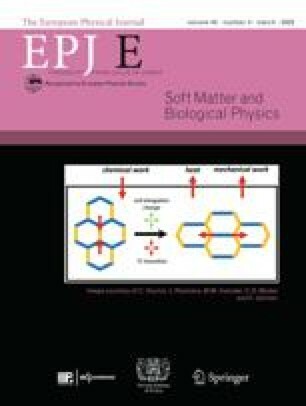 The analysis relies on a recent generalization of the hydrodynamic interaction in structured fluids, which shows a slow spatial decay of the interaction toward the bulk limit. For membranes which are weakly coupled to the structured medium we find a wide crossover regime characterized by different, universal, dynamic power laws. We discuss various systems for which this behavior is relevant, and delineate the time regime over which it may be observed. This article is dedicated to the dear memory of Loïc Auvray, a colleague and friend whose wisdom was matched only by his kindness.